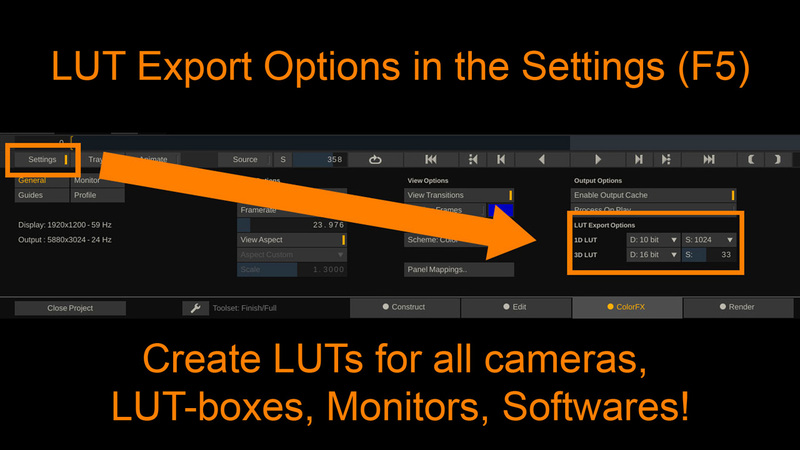 Did you know… that you can export 1D and 3D LUTs in all sizes and bit depths? as to how the LUT has to be made up. SCRATCH not only allows you to (batch-) export your grade in different filetypes (.3dl, .cube, .lut, .txt), but it also allows you to set size and bit depth of your 1D and 3D LUTs before exporting them! And on a related note: SCRATCH also allows to batch-export CDLs as .cdl, .cc and also bundled in an ALE file!